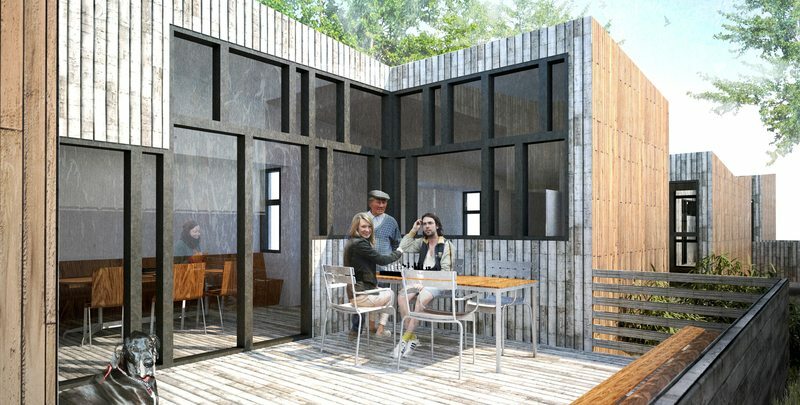 Brief:Competition entry for the Vlock Building Project. 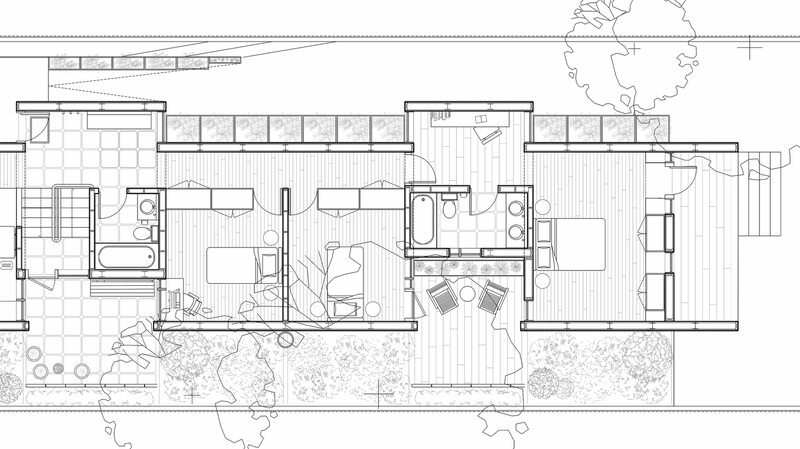 Single family home for a mother & two children with consideration for a potential grandparent with limited mobility. 1500 sqft. 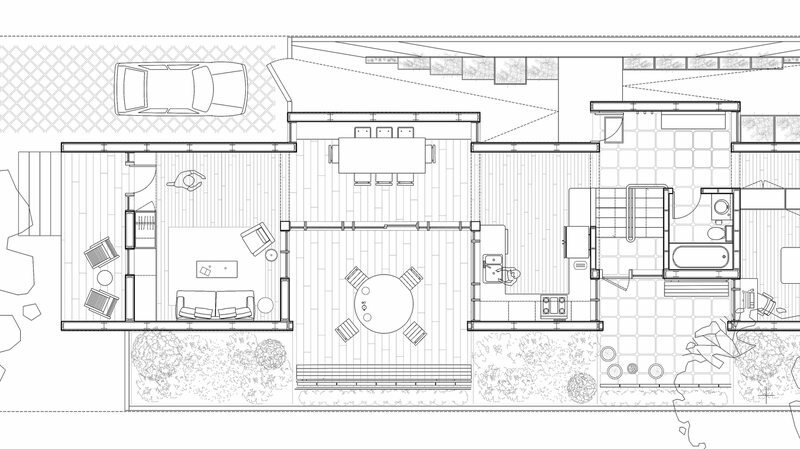 The proposal reimagines the layout of a typical suburban home into an unfolded single story house. The traditional New England house is a cluster of rooms around a central fireplace for warmth, but this model is long outdated with the advent of modern technologies. 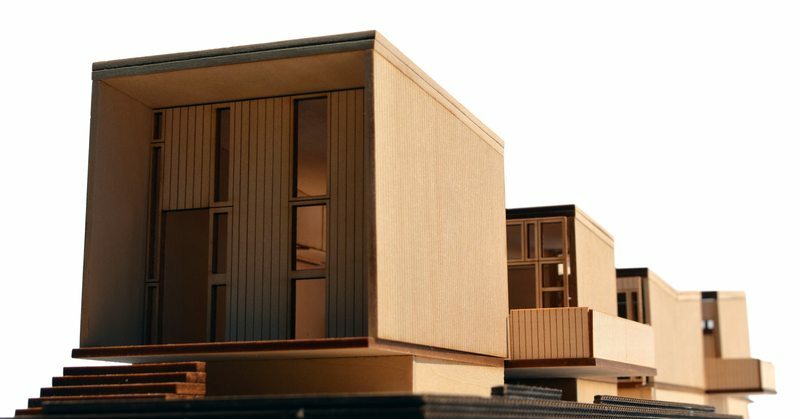 This single story proposal has great potential in prototype variability, ADA accessibility, & spatial nuance in a small house. The site zoning allows for a maximum width of 17’. The scheme maximizes the width of the site by using bay windows & patios so a 17’ wide house can turn into a 26’ wide space. The urban structure of this neighborhood makes long & skinny backyards that are not typically used by the residence. The neighborhood street is very active with children playing & mothers conversing in a vibrant front-porch-culture. This proposal extends the house into this unused space & takes advantage of the expansive views not blocked by the neighbors’ houses. Each room has visual or physical access to a courtyard space, creating spaces for the family to come together or for a resident to enjoy alone. The long roof inverts the typical suburban pitched roof & allows for a more even rain water distribution across the site. 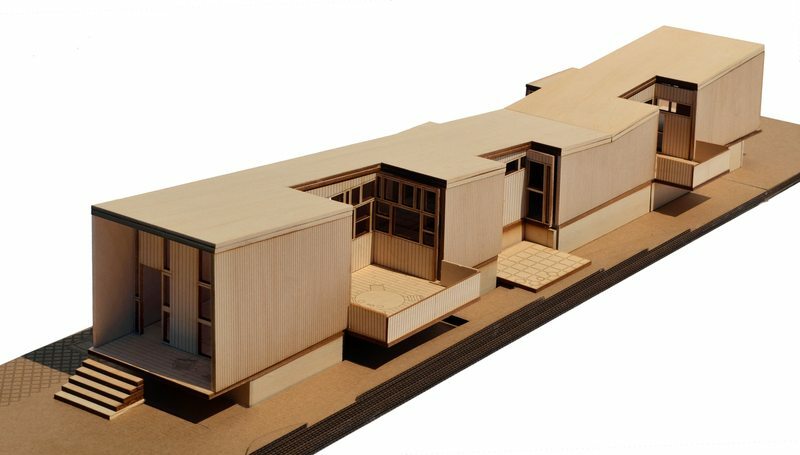 The single story house maintains the cornice line of its neighbors to maintain a visual continuity on the street. The front facade incorporates elements from the eclectic street into a cohesive contributing member. 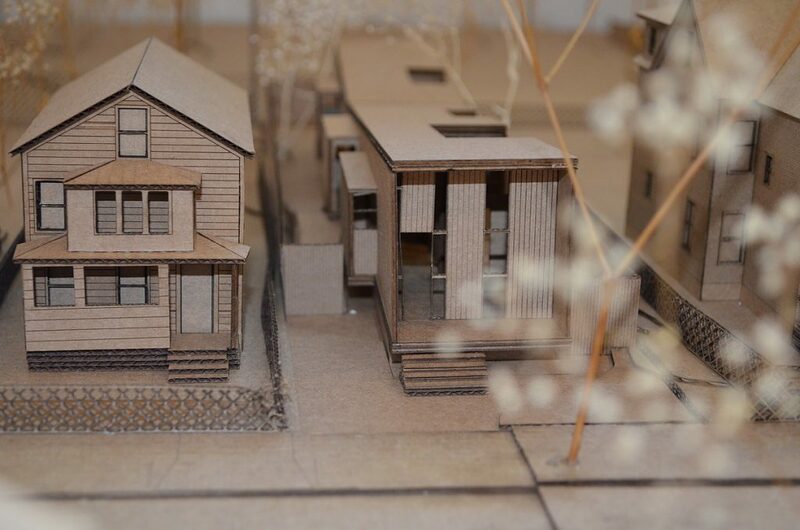 The house provides & aesthetic order & a new spatial paradigm to a forgotten & often violent street of New Haven.